"12 Acre tract of land close to 380 on the east end of fast growing Princeton. Located near the 297 acre mixed-use planned development, Crossroads Municipal Center and Park . Great future potential or use for your own private retreat. Bring your horses and cattle, property currently AG exempt. 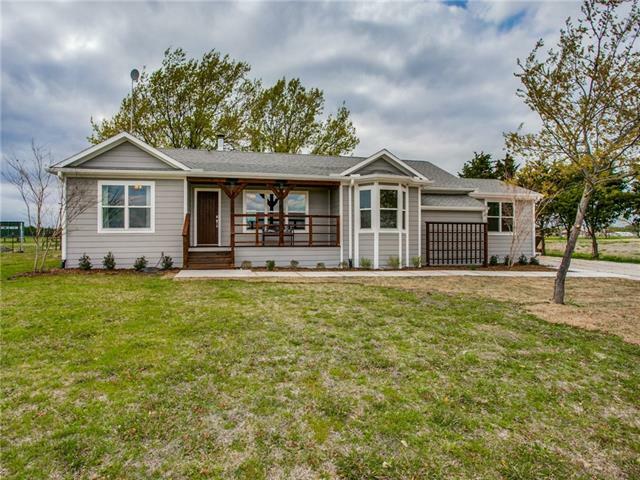 Home completely remodeled in 2015 with an 835 sq ft Master suite, bath, closet and utility room addition. 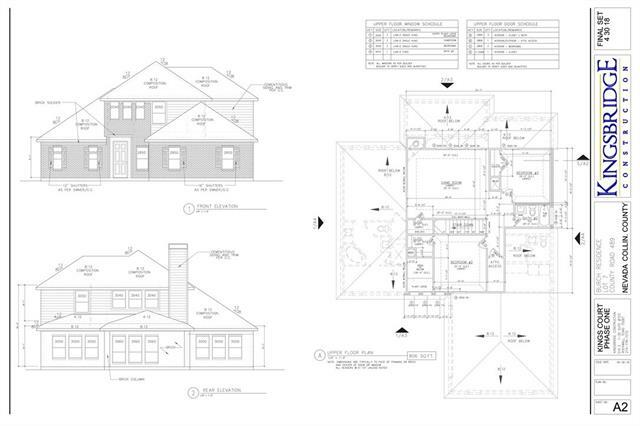 New HVAC, Ductwork, Electrical, Plumbing, Tankless water heater, siding, windows and roof in 2015. S"
"Live the RESORT LIFESTYLE 24-7! 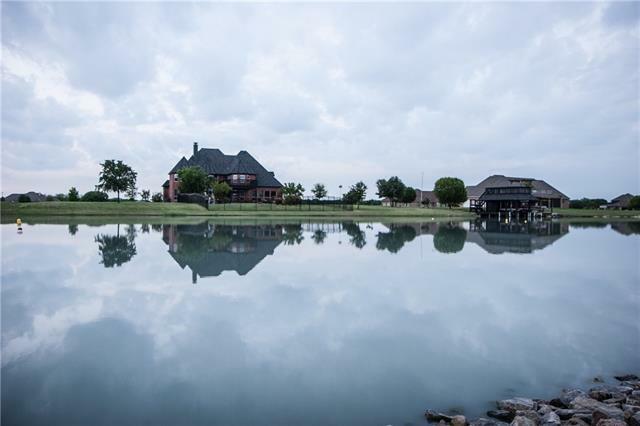 Custom Lakefront Home in COMPETITION SKI LAKE COMMUNITY. Family-Friendly Environment. Water Ski, or take the Kids Tubing, right from your Backyard. BOAT HOUSE w Lift. Heated Saltwater POOL, Swim-Up Bar & SPA. PERGOLA & OUTDOOR LIVING w BUILT IN STONE FIREPLACE. Open Kitchen w Nook, Bar, Stainless Appliances & Updated Granite. Mezzanine Flex Room w Built-In Shelving, Lake View & Iron Doors. Media & Hobby Office. Extensive Crown Moldings, Entryways Arched w Stone, G"
"Looking for your own peaceful hideaway in the country? Gated entrance winds up the drive leading to an inviting array of trees and flowering landscaping. There are two homes on property: a 1 story house built in 2006; SS appl, wood & slate flr, stone accent wall;carport and storage or workshop building. Other 1 story home is currently leased earning $1300. month. 3 Bdrm, 2 Bth, LR,DR, porches and carport. 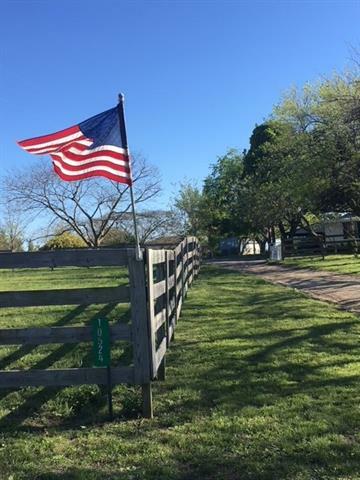 You will love to experience the view of Beautiful Sunsets and the quietness of the natural"
"10 Beautiful acres in an excellent location with farm house that is in need of finishing remodel. 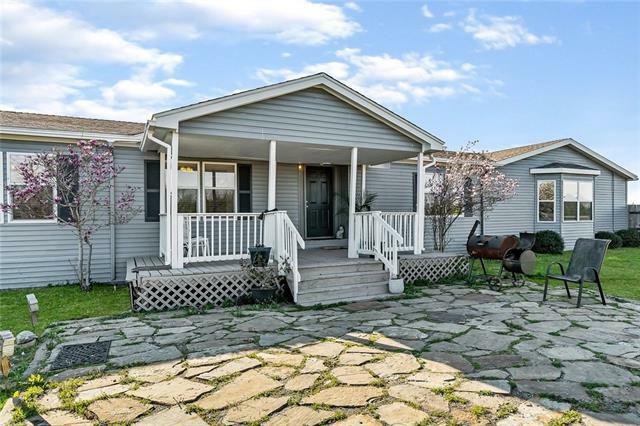 Home sits on top of hill overlooking gorgeous rolling landscape and has 3 bedrooms and 1 bath, clawfoot tub, wood floors and wood burning stove. Nice size pond and an abundance of road frontage. Roof replaced in 2013 and AC and Heat in 2011. AG exempt. Location, Location, Location!" "Gorgeous ranch style home on private road in Princeton! Huge game room and family room, with built ins in the living area! Whole house has real wood flooring and 6 inch baseboard throughout. Master bath fully remodeled in 2018, kitchen has new granite and stainless steel farm sink as well as appliances! 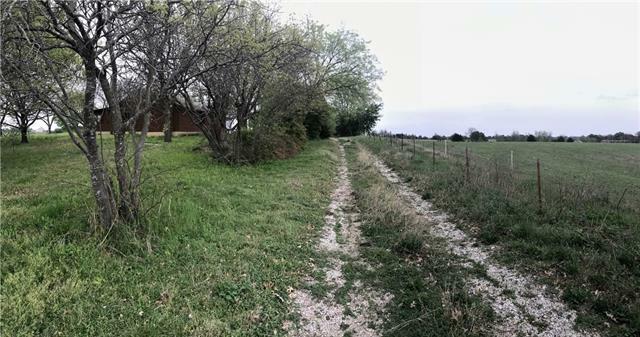 Enjoy just over 3 acres with 4 buildings on the property, the home itself, a workshop, a storage building, and a horse barn, as well as a storm cellar! 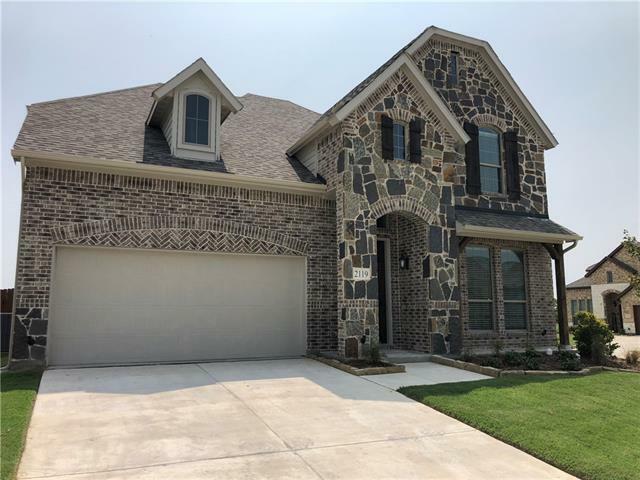 This home has everything, even an above gro"
"Beautiful new home built by Stonehollow Homes on an oversized corner homesite. Big kitchen with lots of 42 in Soji White with Chocolate Glaze cabinets & walk in pantry. Features include stone fireplace, handscraped hardwood flooring in entry, kitchen, cafe, and family room. Ceramic tile all baths & utility. Granite countertops in kitchen & baths, dream master suite with his & hers framed mirror vanities & closets. Media room & gameroom. 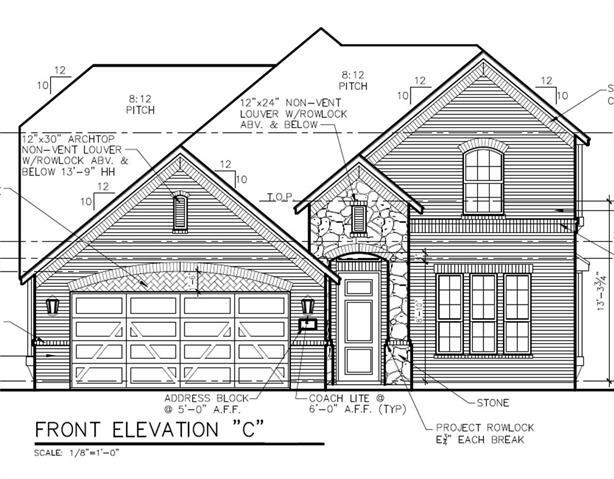 Oil rubbed bronze fixtures, 5.25 in baseboards, rocker swit"
"New construction on 1-acre lot! Enjoy country living close to the city on this fabulous 4-3-3. Stunning new county subdivision with 1-acre lots just minutes from Lucas, Allen or Princeton. This subdivision boasts concrete streets, underground water and electric utilities, and matching decorative lampposts that create a wonderful ambiance. Protective covenants without the hassle of an HOA." "New construction on 1-acre lot! Enjoy country living close to the city on this fabulous 4-3-3. Stunning new county subdivision with 1-acre lots just minutes from Lucas, Allen or Princeton. 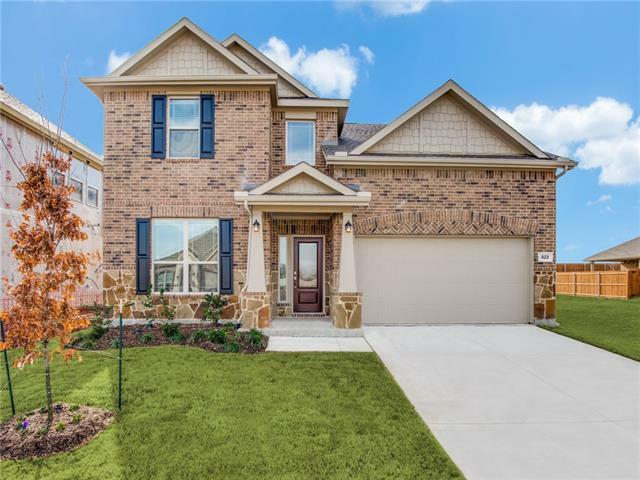 This subdivision boasts concrete streets, underground water and electric utilities, and matching decorative lampposts that create a wonderful ambiance. Protective covenants without the hassle of an HOA. Also, click the link to see the aerial video of this beautiful subdivision!" 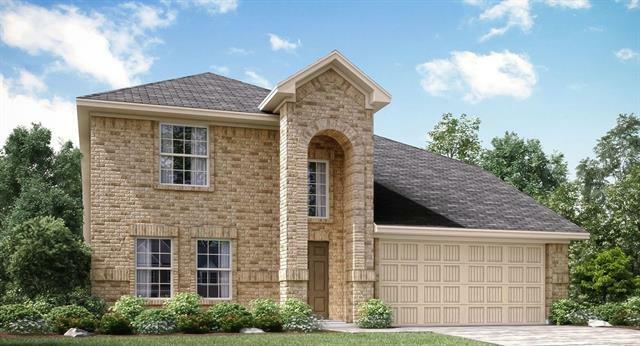 "New LENNAR 5 bedroom 3 bath with gameroom, formal dining, covered patio & fireplace. Wood look tile floors in entry, kitchen, living, dining, hallways & all wet areas. 2 CM quartz countertops in the kitchen. Wi-Fi Certified Smart Home powered by Amazon Alexa!! Rounded corners, 2 in. faux wood blinds, ceiling fans and much, much more! Move-in ready!!" "New LENNAR 4 bedroom 3.5 bath with media room, gameroom, formal dining, covered patio & fireplace. Wood look tile floors in entry, kitchen, living, dining, hallways & all wet areas. 2 CM quartz countertops in the kitchen. Wi-Fi Certified Smart Home powered by Amazon Alexa!! Rounded corners, 2 in. faux wood blinds, ceiling fans and much, much more! Move-in ready!!" "LUXURY CUSTOM BUILDER MODEL on Huge Pool Sized Corner Lot. 4 Bdrms,Office or Flex Room, Designer Interiors! Enhanced MERV11 4in Air Filtration, ENERGY EFFICIENT, High Ceilings, Island Kit., Quartz Cntrs in Baths, SS Appli., Pendant and Undercabinet Lighting, 42in Shaker Cabs, Box Window Seats, Direct Access to Laundry from Mstr Closet, Niche Playroom or Storage Upstairs, Framed Mirrors, Delta Faucets, Huge LUXURY Mstr Shwr, LowE66 Vinyl Windows, Radiant Barrier, Panel Doors, 66in Ceiling Fan, Ni"
"MUST SEE ONE OF A KIND CUSTOM HOME READY TO GO! Spray Foam Insulation, SUPER Energy Efficient, 16 SEER, Transitional Home. 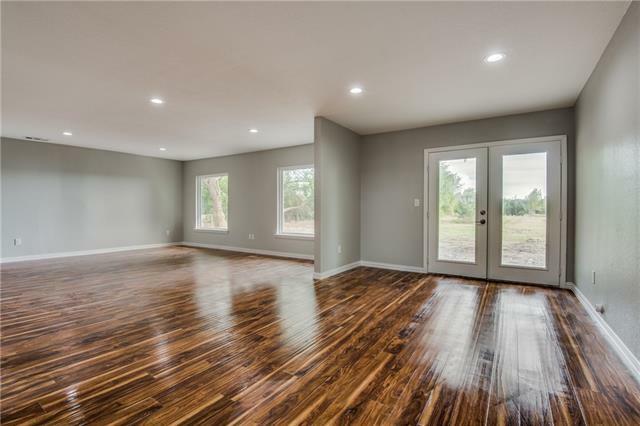 4 BDRM,Office, Dining, Gameroom, Enhanced MERV11 4in Air Filtration, Plank Wood Tile Floors, 11ft Ceiling in Living, Huge Island Kit., Quartz Counters, 5pc SS Appl, Pendant and Undercab. Lighting, 42in Shaker Cabs, Adj. Shelves, Box Window Seats, Framed Bath Mirrors, Delta Faucets, Huge LUXURY Mstr Shower, Closet to Laundry, LowE66 Vinyl Windows, Panel Doors, 66in Ceiling Fa"
"Wow! Look at this big lot house. 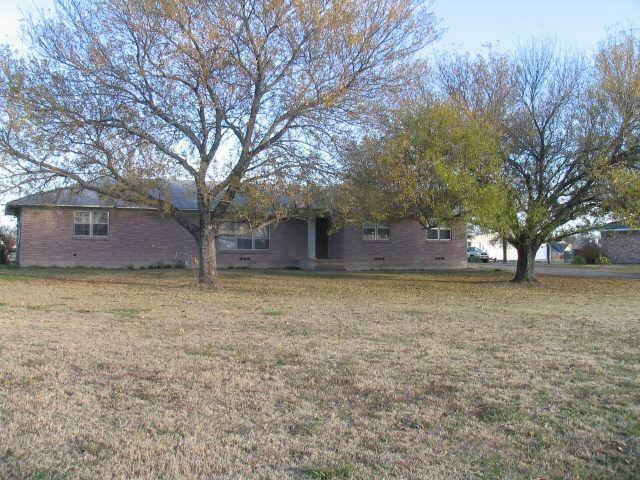 This 3 beds, 2 baths, huge laundry with extra pantry-storage, 2 car attached and 2 car detached garages, storm cellar. Built in 1972, 12.82 Acres. This land is next to the new built school with future development opportunity.The area has been see many new residential community already!" "New Princeton community with 1 acre lots! NO HOA! Select your 1 acre lot and floor plan before they're gone! Choose from builders floor plan with selections of flooring, counter tops, paint color and more! Open family room with built in kitchen nook. Large 2 car garage and additional amenity build out options such as a shop, pool, mother-in-law suit, optional bonus room upstairs & more! 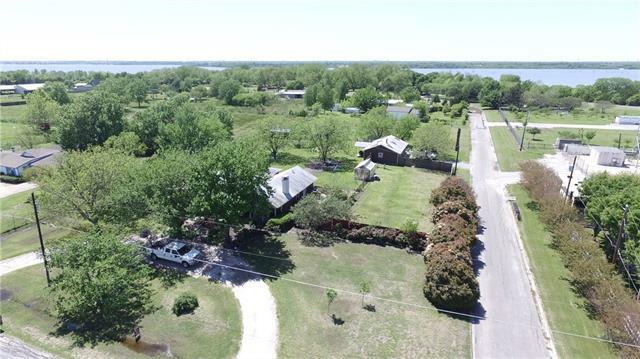 5 minutes to lake Lavon, beach park and boat ramp. Short commute to State Farm Headquarters, Toyota, shopping "
"NO MUD or PID! Beautiful new home built by Stonehollow Homes. Big kitchen with lots of gorgeous 42 in cabinets & walk in pantry. Features include, handscraped hardwood flooring in entry, kitchen, cafe, and family room. Ceramic tile all baths & utility. Granite countertops in kitchen & baths, dream master suite with his & hers framed mirror vanities & closets. 2nd master upstairs. 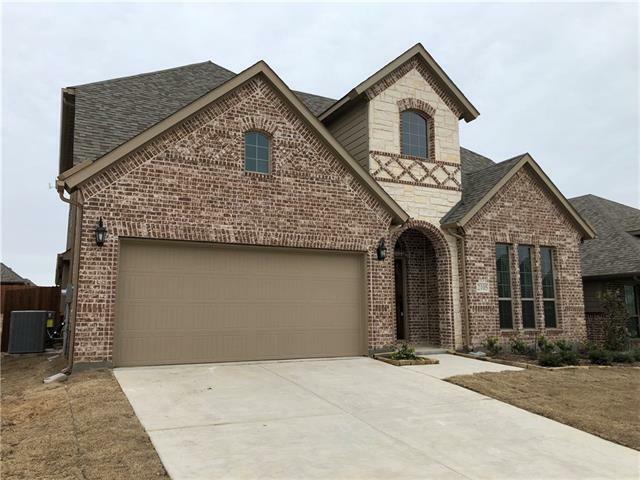 Oil rubbed bronze fixtures, 5.25 in baseboards, rocker switches, finished garage with opener, insulated door, full so"
"New LENNAR 5 bedroom 4.5 bath with gameroom, formal dining & covered patio. Wood look tile floors in entry, kitchen, living, dining, hallways & all wet areas. 2 CM quartz countertops in the kitchen. Wi-Fi Certified Smart Home powered by Amazon Alexa!! Rounded corners, 2 in. faux wood blinds, ceiling fans and much, much more! Move-in ready!!" 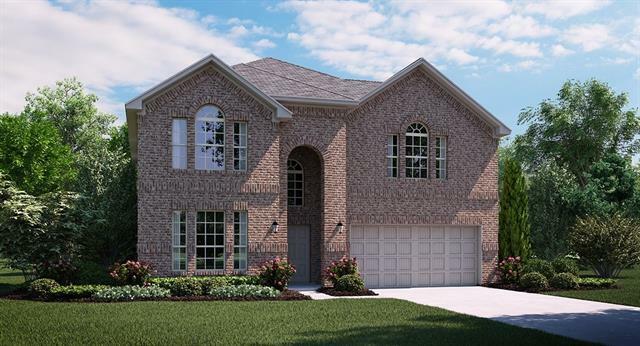 "New LENNAR 4 bedroom 3.5 bath with gameroom, formal dining & covered patio. Wood look tile floors in entry, kitchen, living, dining, hallways & all wet areas. Wi-Fi Certified Smart Home powered by Amazon Alexa!! Rounded corners, 2 in. faux wood blinds, ceiling fans and much, much more! Move-in ready!!" 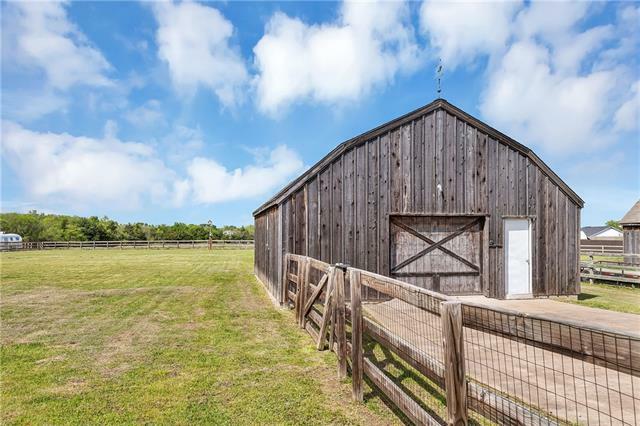 "Amber sunsets, fresh air and a night sky full of stars is what you get w this home that sits on 1 full acre. 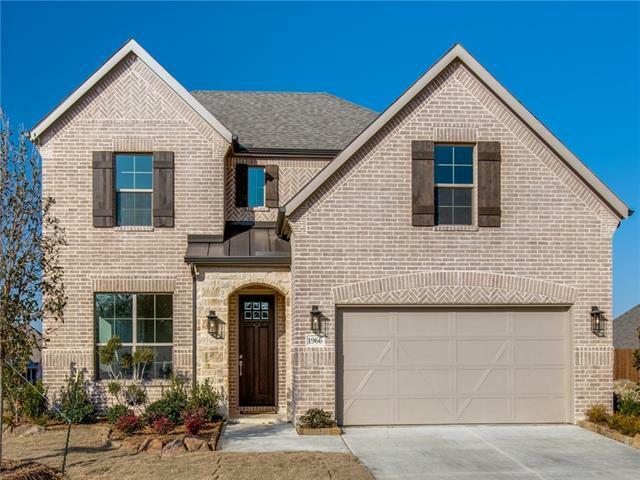 Home is located in desirable Princeton ISD just up the street from new high school due to open in 2019! It has been completely remodeled! Inside you will find your dream kitchen designed for family gatherings. 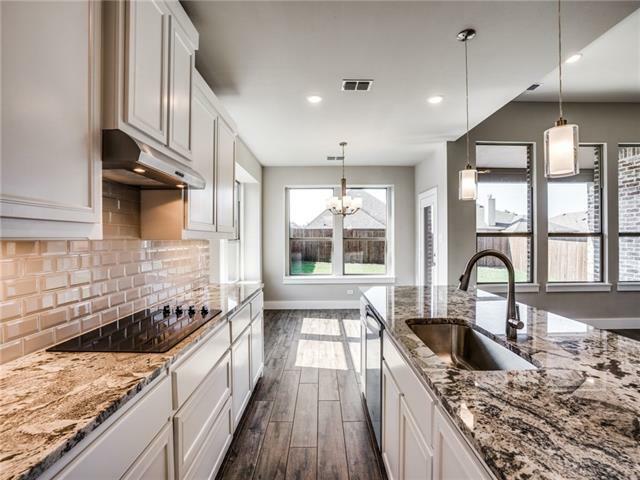 The kitchen has quartz counter tops, GAS RANGE,Island w 2nd wash station, marble back splash, and many custom cabinet additions like a lazy suzy and spice rack built in! Beautiful w"
"This is the ONLY True Custom builder in DeBerry. Hurry and choose your Selections and Details. MERV11 4in Enhanced Home Air Filter, Transitional Design, ENERGY EFFICIENT, 10ft Ceilings, 12ft Ceiling in Foyer, Open Island Kitchen, Quartz Slab Counter, Stainless Appliances, Pendant and LED Undercabinet Lighting, 42in Cabinets, Adjustable Shelves, Double Window Seats in Dining, Custom Framed Bath Mirrors, Delta Faucets, Wood Burning Fireplace optional, Custom Master Shower, Optional Master Tub, Ov"
"This ranch style farm house comes alive in the spring with its established landscaped yard; including large fruit and nut trees. 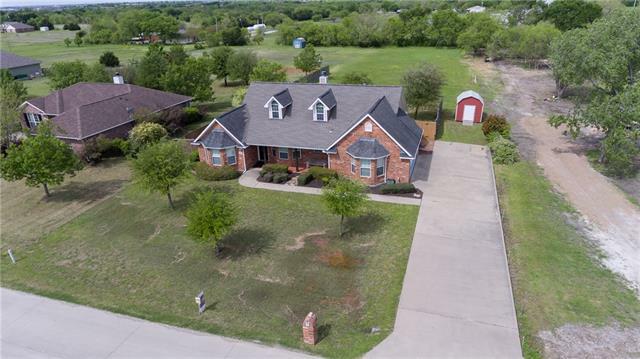 The home sits on 1.79 acres in a nice, quiet neighborhood with a swing drive, a large yard with a chicken coop, a greenhouse with electrical and water, and a hot tub perfect for unwinding. The newly painted house has a kitchen equipped with open cabinetry, stainless steel appliances and plenty of room to enlarge if desired. The Master bedroom features an exterior door "
"This adorable ranch style home will have you ready for a back yard BBQ and nice cold glass of sweet tea! New roof in 2017. Newer dishwasher, range and refrigerator. Oversized 2 car garage. Gorgeous cedar barn! A little TLC is needed so ready for the new owner to put their own personal touch on it!" "BRAND NEW 3 bedroom, 2 bath home with a 2 car garage on an OVERSIZED LOT. Home will have tile in the entry, kitchen, nook, utility room and bathrooms. 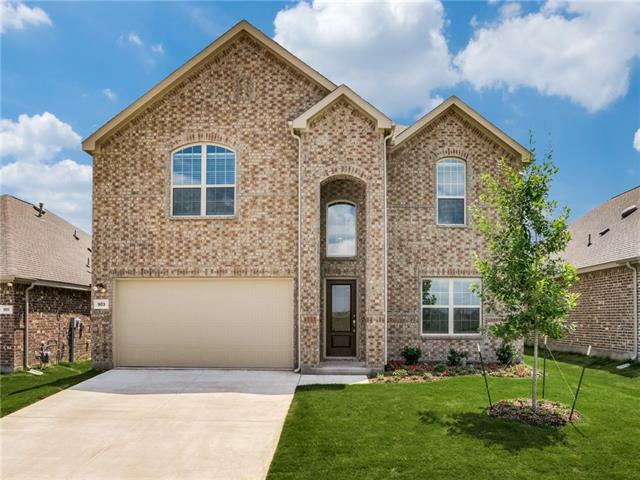 Granite counters in kitchen and master bath, 16 Seer HVAC, Upgraded oil rubbed bronze fixtures, Stainless Steel appliances, Custom cabinets painted or stained on site. Enjoy R15 insulation in all exterior walls and R38 blown insulation in the attic. HURRY to pick your lot! Several lots will back up to a tree line. 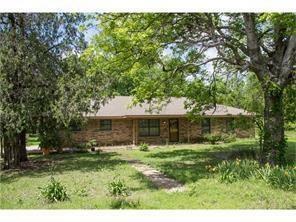 Choose your colors and upgrades a"
"CHARMING SINGLE STORY ON ONE ACRE LOT! MOVE IN READY! GRANITE COUNTERTOPS, KINETICO WATER SOFTENER & PELLET STOVE! Brick Facade w Cozy Front Porch & Glass In-laid Front Door. Family Room w Laminate Floors & Pellet Stove. Dining features Bay Window & Laminate Floors. Chefs Kitchen has Abundance of Cabinetry, Granite Counters, Tile Floors & Bar Area. Master Suite is Vaulted w Bay Window and Walk-In Closet w ELFA System. Master Bath has Dual Sinks, Separate Shower & Jetted Tub. 3 Secondary Bedrooms"